It’s easy to get stuck in old habits – we all-too-often keep things that we’re used to, even if they’re out of date, rather than deal with the hassle of changing to something new. This is doubly true when we’re attached to something for the way it looks. But eventually the time will come to upgrade, and the benefits of doing so may be much greater than expected. A client of ours, a specialist metals company, was using old wooden doors for entry to their warehouse space. Not only were these impractical for someone to unlock, open, close and lock again while carrying heavy loads, wooden doors also offer less insulation, leading to heat loss and noise pollution, and are much more easily damaged than steel doors. 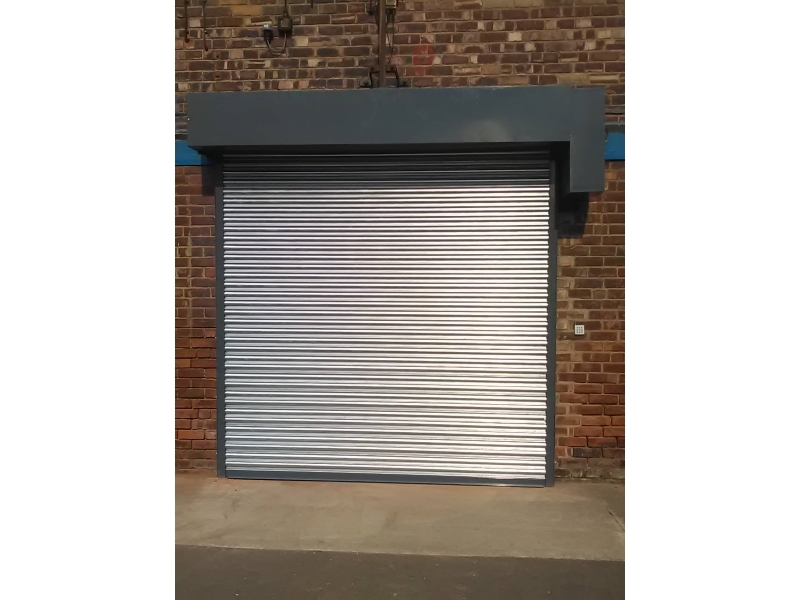 We installed a roller shutter with a three-phase, 415v motor and a galvanised curtain, which will protect the door from corrosion and damage. The steelwork was powder-coated for an attractive finish, and a canopy was installed to add a protection from wind and rain. Access had been an issue for the property with the old doors – keys were required, meaning certain staff members had be on site to open or lock up. We installed a keypad for operating the door, which means all authorised staff can access the unit with a code. The client is left with a door that’s more durable, more practical and safer to operate, without having to sacrifice aesthetics on the outside – the canopy and powder coating stand out nicely. If you have any questions about our roller shutters, or would like a quote for your own premises, just get in touch and we’ll be happy to help!